The Bonanza Ranch offers fun riding for all levels and ages. Located in the heart of nature in Tenerife´s South we offer you a wide range of rides from mountain to beach. 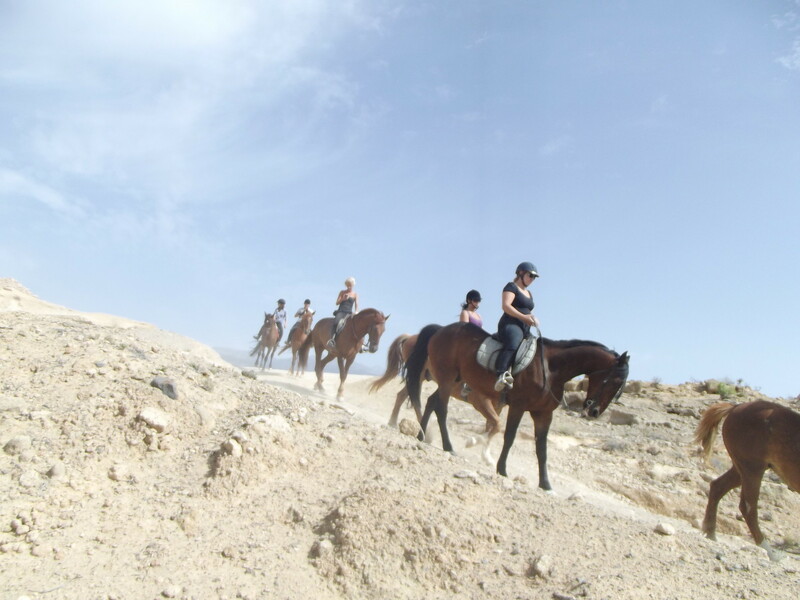 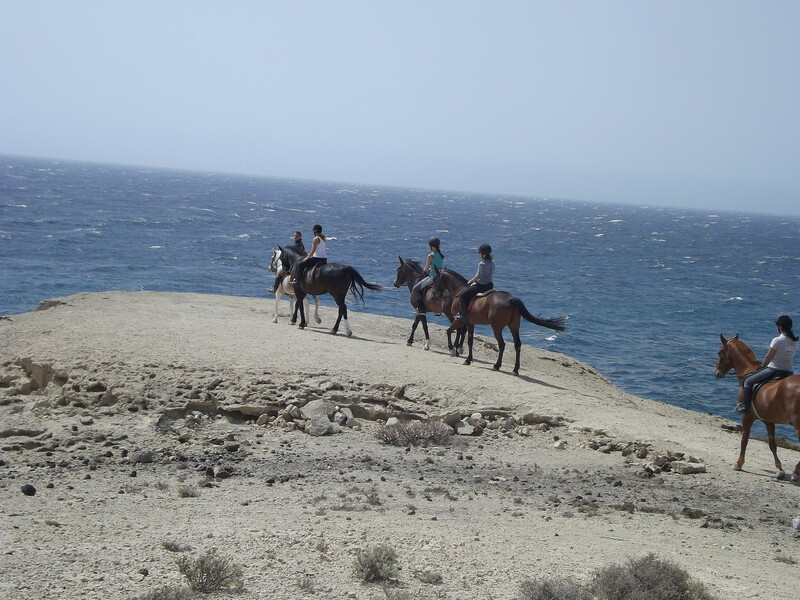 Excursions for beginners and experienced riders, riding lessons for our youngest customers, pony rides and lodging for your own horse complete our wide range of services. 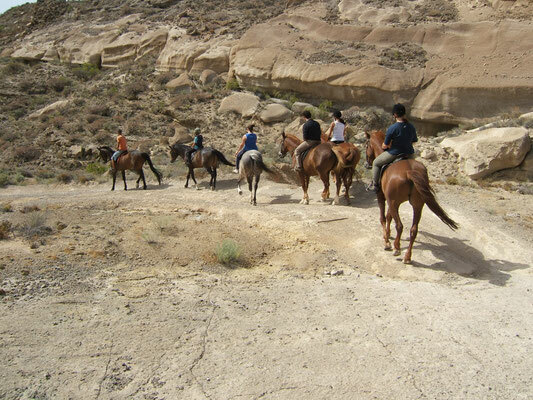 We are located in the South of Tenerife, in a small town called "El Desierto" - The Desert. 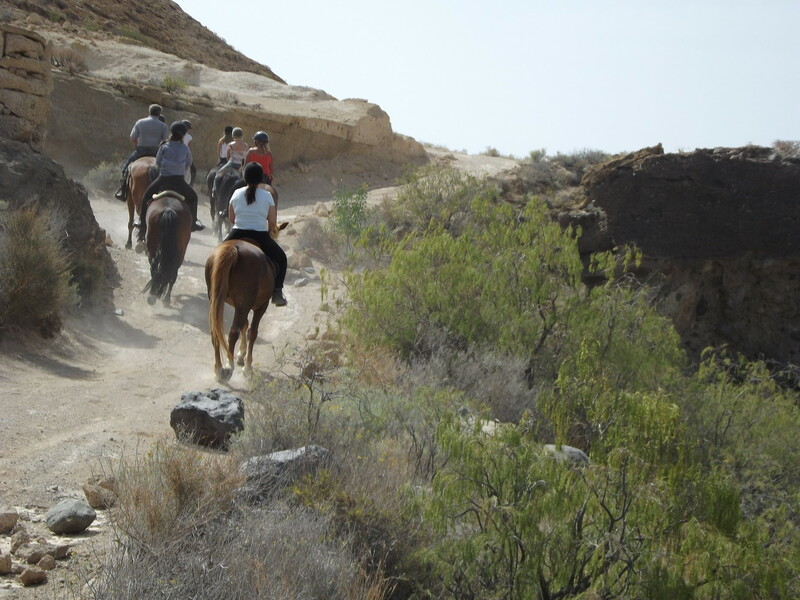 The landscape that surrounds us consists of various natural reserves that make the Ranch an exceptional place to recover from the hustle and bustle of daily life - before we leave for our excursions far away from streets and city lights. 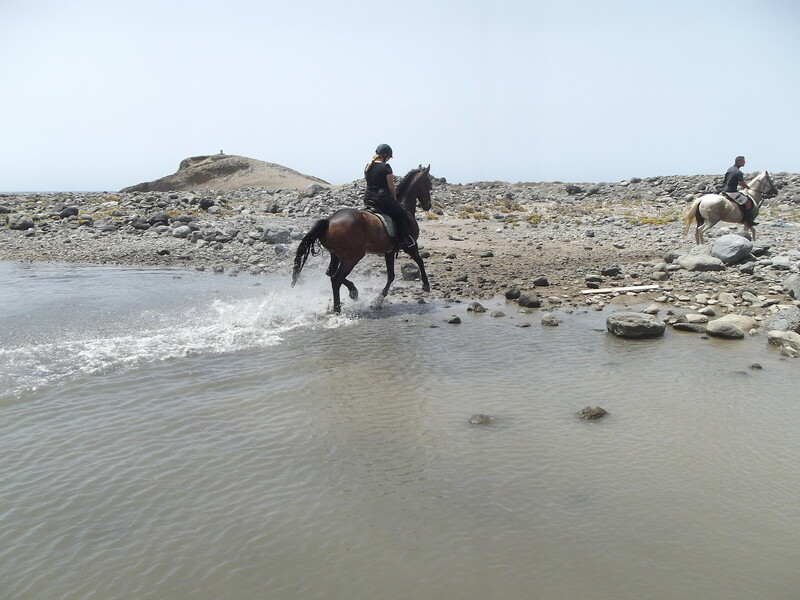 The paths that we follow on our excursions are merely paved and lead us through diverse volcanic areas that have existed long before mankind on the island of Tenerife.